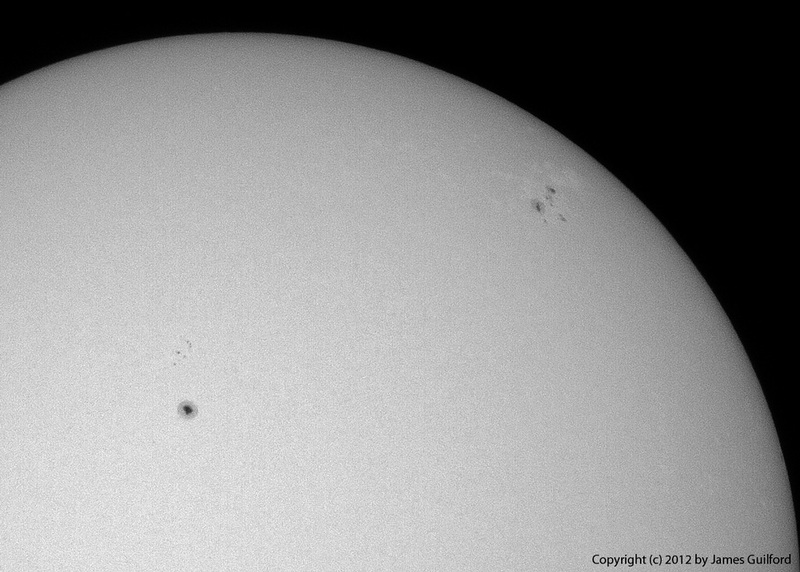 The Sun with (center) sunspot #1486 and (upper-right) sunspot #1484. Converted to monochrome. This entry was posted in Uncategorized and tagged astronomy, astrophoto, northeast ohio, ohio, photograph, solar, sun, sunspot, transit of venus, Venus. Bookmark the permalink.